The 22-year-old was seemingly on the way out but Mourinho has handed him a lifeline! 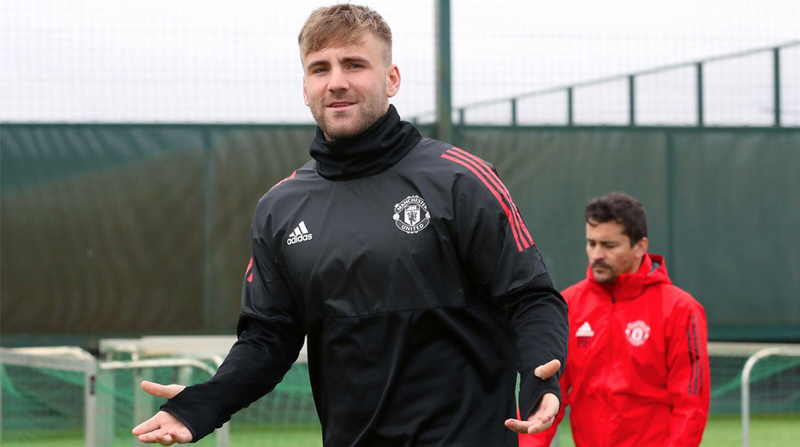 Luke Shaw started for the first time this season in Manchester United’s UEFA Champions League win over CSKA Moscow and the defender impressed Jose Mourinho to the extent that the manager has promised him that more chances will follow in the future. “A very positive performance, especially with the balls going forward. Creating a lot, great intensity in his game,” the United manager enthused at the defender’s first start since April 30. Seeking a win to top the group, United were stunned when the Russian outfit took the lead via contentious circumstances on the stroke of half-time. Forwards Romelu Lukaku and Marcus Rashford struck in quick succession, however, to calm the home fans’ fears and United held on for their fifth continental win of the season. “It was no surprise that in 80 minutes he’s feeling the consequences of that intensity; it’s normal as it’s the first match of the season for him. But he’s going to get more,” added the United manager. The Red Devils, with five wins and one loss, finished as Group A winners while Swiss side FC Basel came in second place with a points tally of nine. CSKA Moscow finished in third and will play the UEFA Europa League while Portuguese team Benfica finished last with 0 points. “He was waiting for quite a long time, he was deserving (of his chance) for quite a long time. It’s not easy to give an opportunity to a player who doesn’t play for many months in matches where the team really needs (a) result,” the United manager told BT Sport. United now have the small matter of the Manchester Derby to focus on, with Premier League leaders Manchester City visiting Old Trafford on Sunday and the summit clash of the English top-flight promises to be a fiery one.